Taste Buds – The Way to a Healthier Life? How often do you sit down to eat a rich, flavorful salad with colorful, tasty ingredients and ask yourself, “How is it that I can taste all these different flavors?” I would guess it is rarely if at all. We take for granted that as soon as we grab a bite of something, we will quickly experience a taste that we enjoy and willhelp us chew a bit longer and then swallow. We use our tongues all the time to eat, talk, and swallow. Food just wouldn’t be the same without a working tongue, but have you ever thought about how this amazing organ does what it does? We have, and we’re going to share some of the most interesting facts about your tongue. Taste buds are some of your most important body parts. Everything you eat is tested with your taste buds to tell you if the food is good or bad. Taste buds have chemical reactions with different foods and transmit the messages directly to the brain. Another major component to taste is smell. Just by using smell, you can often tell the difference in foods or drinks, but without smell it can be difficult to distinguish the differences. This is why, when you have a cold or a stuffy nose, food doesn’t taste normal. Avoid those things listed above to protect your taste buds. Fortunately, damaged taste buds can heal, so your sense of taste is not totally lost. As you age, you’re likely to find that your sense of taste starts to decline, just like your eyesight. You were born with 10,000 taste buds, but after you turn 50, that number starts to gradually decrease. “We don’t have a full understanding of why taste perception declines with age,” says Christine Gerbstadt, MD, RD, of Altoona, Pennsylvania, a spokeswoman for the American Dietetic Association (ADA) and author of The Doctors’ Detox Diet. She notes, however, that studies in mice show that their taste cells turn over, resulting in their having fewer of them over time, which may explain why it happens in humans, too. Another factor may be a diminished sense of smell. Experts say flavor is actually a combination of taste and smell, so if you lose your ability to detect particular aromas — which happens as you age — you’re limited to basic taste sensations being picked up by your tongue, which won’t be as strong or as complex. Still another reason your sense of taste diminishes with age is that you produce less saliva, so your mouth is drier. When your mouth is dry, it’s harder to swallow, and eating may not be as enjoyable. Loss of your sense of taste shouldn’t be dismissed as just one of the effects of aging, because it can have serious consequences for the health of older people. Of your five taste sensations — sweet, salty, sour, savory, and bitter — sweet and salty are often the first to go, so at the very least, you may over-salt your food, which could cause your blood pressure to rise and put your heart health at risk. Furthermore, if you lose the ability to taste certain foods, you may also lose interest in eating them, which could affect the amount of nutrients you consume, says Dr. Gerbstadt. You could even accidentally consume food that has gone bad or contains harmful ingredients. Researchers at Virginia Tech found that as people age, they’re less likely to detect chemicals such as iron in their drinking water. These compounds give the water a metallic flavor that older people can’t taste, which puts them at risk for overexposure to iron and copper — a possible risk factor for Alzheimer’s disease. Taste buds are not visible to the human eye. Those little pink and white bumps you do see on your tongue are called papillae, hair-like projections that taste buds rest on top. Each has an average of six taste buds buried inside its surface tissue. It’s true most taste buds are on your tongue, but there are also taste cells in the back of your throat, on your epiglottis (that flap of cartilage in the mouth at the back of the tongue), your nose and sinuses, all the way down the throat to the upper part of the esophagus. Infants and young children have even more cells that sense taste in the mucous membranes of their lips and cheeks. All these cells send signals to the brain that are converted into what we perceive as taste. Tongues are measured from the epiglottis (a flap of cartilage in the mouth at the back of the tongue) to the tip. An adult man’s average tongue length is 3.3 inches (8.5 cm), and an adult woman’s average tongue length is 3.1 inches (7.9 cm). According to the Guinness World Records, the current title of World’s Longest Tongue belongs to an American named Nick Stoeberl, whose tongue measures 3.97 inches (10.1 cm). The sensory cells in the taste buds responsible for how we perceive taste renew themselves every 10 days to two weeks. About one-quarter of the population is considered “Super-tasters,” people with a heightened sense of taste, particularly for bitter foods and specifically a bitter compound called 6-n-propylthiouracil (PROP). Another quarter is considered “Non-tasters,” who can taste foods, but are less sensitive and cannot detect the bitter taste of PROP. 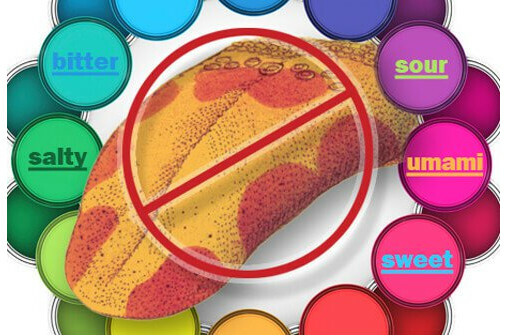 We grew up believing the tongue had four taste zones: one each for sweet, sour, salty, and bitter, but this is not the case. These tastes, along with a fifth taste called umami (savory), can be sensed on all parts of the tongue. 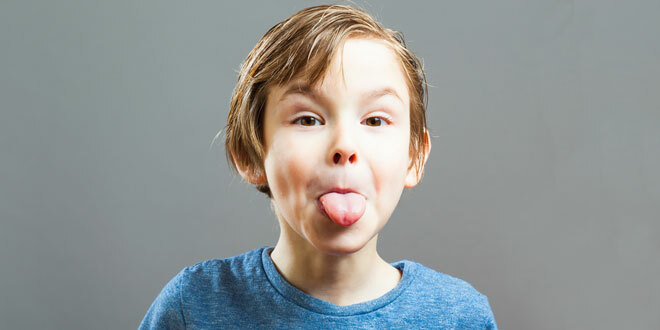 The sides of the tongue are more sensitive overall than the middle, and the back of our tongue is more sensitive to bitter tastes. The tongue is all muscle, but not just one muscle – it’s made up of 8 different muscles that intertwine with each other creating a flexible matrix, much like an elephant’s trunk. It’s called a muscular hydrostat, and the tongue muscles are the only muscles in the human body that work independently of the skeleton. Your tongue muscles do have amazing stamina and are used constantly for eating, talking, and swallowing. The tongue just never seems to get tired! Taste buds have helped us evolve as humans. In the beginning, the sense of taste helped us test the foods we ate: bitter and sour tastes might indicate poisonous plants or rotting foods. The back of our tongue is sensitive to bitter tastes so we can spit out poisonous or spoiled foods before we swallow them. Sweet and salty tastes let us know foods were rich in nutrients. If you get fat, so does your tongue! The human tongue has a high percentage of fat, and there is a correlation between tongue fat volume and obesity. A study in the journal Sleep showed that having a larger tongue with higher levels of fat might be a risk factor for obstructive sleep apnea (a serious sleep disorder in which a person repeatedly stops and starts breathing while sleeping) in obese adults. Every person’s tongue is unique, and like fingerprints some see the potential for the tongue to act as an identity verification tool. The tongue is protected in the mouth and would be difficult to forge, and a person can stick it out for examination. Researchers are working on ways to use the tongue as a biometric authenticator – a reliable way to positively identify a person. Eating healthier and training your taste buds happens over time. … Since taste is a lot about familiarity, this method can help you develop a taste for a new, healthier food. You still may have foods you don’t like, but you will begin to expand your horizons and quite likely discover new favorite foods. Next week we will show you several different ways to train your taste buds. It’s easier than you think! “Tastebuds have helped us evolve as humans”? I question that statement coming from a Christian based organization. Humans did not evolve…they were created by God with amazing tastebuds! In the Garden of Eden, all that was eaten were fruits, vegetables, seeds and nuts. While people haven’t evolved in the context of evolution, their taste buds have definitely changed since the Garden times. They have been compromised since fruits are now 30% sweeter than they used to be; the invention of “fire” has changed our taste buds since “cooked” food has added salts and oils to enhance the flavor, and of course pre-packaged foods have damaged our taste buds immensely. In the English language the word “evolve” has several meanings, and of course in this case it has nothing to do with evolution. Thanks for your response! Wow! I have to agree with my co worker, I did not realize this about our taste buds or the tongue. This was a good blog, especially with a person not knowing that the taste buds can heal themselves. This part “Can You Train Your Taste Buds?” stood out in my mind, because me and my husband is trying more healthy eating habits so I pray we can change our taste buds. This was another good blog with good information. Who knew you could train your taste buds!! Great article thank you for the insight!